The Stockholm-based studio created oversized and exaggerated patterns using hand-sculpted clay and sand. The designers then used a concrete casting process that would allow them to recreate tiny details. 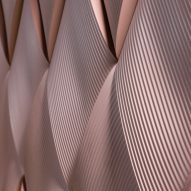 "The two different linear patterns are influenced by the way wind and water creates patterns in sand, in deserts and underwater," Note Design Studio told Dezeen. 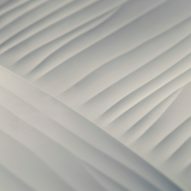 "The sand reference is a tiny nod to the material of choice, where the key ingredient is still sand. 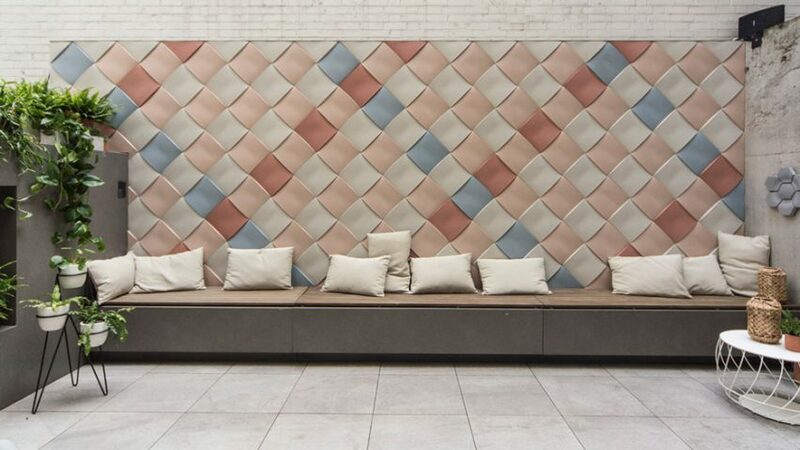 Even if the final product is hard as rock, we wanted the expression to be soft like fabric." 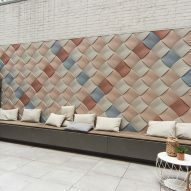 The Weave collection – which was created for Hungarian tile brand Kaza Concrete – includes three different styles, in two sizes and 24 colours, with the option of matt or gloss finishes. 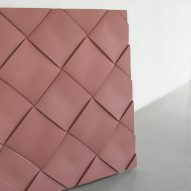 The tiles' curved surfaces mean that pairing them together creates the effect of a giant weave. "Finding the right scale and proportions has been challenging," added Note Design. "Not to exaggerate the effect too much, but let the light bring out the best of the pattern and make it come to life." "We wanted to take the opportunity to do something bold yet elegant. 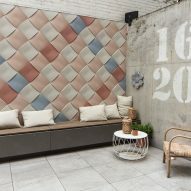 To make a tile that will make a wall stand out and bring something extra to the piece." Note Design Studio was founded in 2008, and has worked on interiors projects in its home country of Sweden as well as collaborating with several brands on furniture. It recently completed a pastel-coloured renovation of an former office in Stockholm and created a roll-up office divider for workers on-the-go. The studio took 22nd place among designers on Dezeen Hot List, a data-generated power ranking of the most influential names in architecture and design.